By default (or when passing the --format xlsx parameter), the tool will export reports in Excel (xlsx) format. 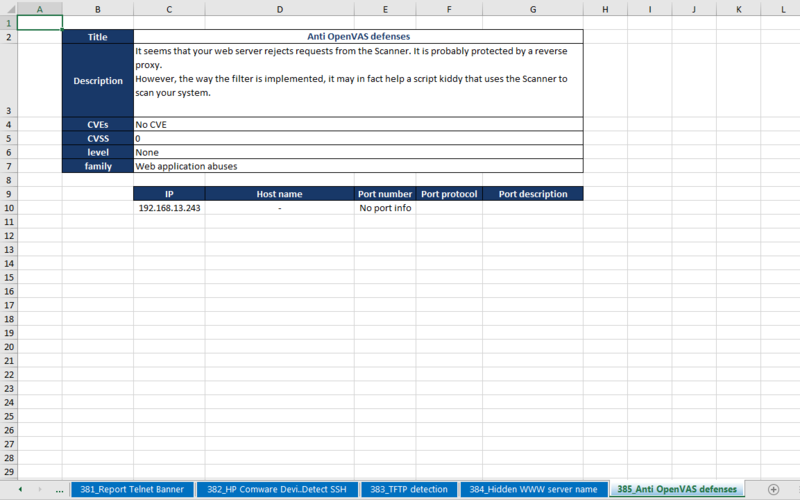 This report contains a summary sheet, table of contents, and a sheet per vulnerability containing vulnerability details and a list of affected hosts. 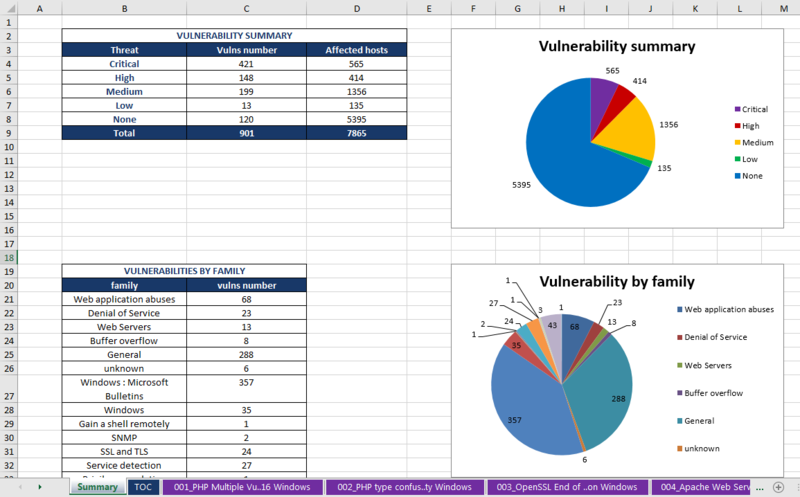 Vulnerability detail worksheets are sorted according to CVSS score and are colored according to the threat level.